I’m an astronomer partly because of the power of science fiction to inspire the imagination. While I still read plenty today, there were a few years where I did nothing but devour novel after novel, and series after series. My favorite pieces, then and now, are those which take an unfamiliar situation – an Earth with an extra Moon, a Universe in which pi varies – and follow the logic through remorselessly I was talking at dinner last night about a particularly chilling example, the unforgettable noirish Rogue Moon, but there are uncountable examples. Is there a planet in a 6 star system somewhere that looks just like this? 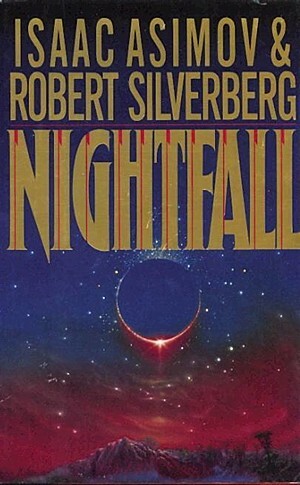 One perhaps more familiar than most to planet hunters is Asimov’s story Nightfall, a dramatic evocation of what happens on a planet with six suns when night eventually falls, something that happens only once every 2049 years. (I wonder why he chose 2049?). This story inevitably comes up whenever I mention our very our four-star world Planet Hunters 1b, although it would have a more normal setting; two of the stars are distant enough, I reckon, for it to still be ‘night’ when only they are above the horizon and the planet’s circumbinary orbit also would seem more normal. I’m mentioning it now because it’s been slowly dawning on me that, while Planet Hunters 1b is only an approximation to the planet in Nightfall, thanks to the work of planet hunters everywhere science fiction authors now have a wide variety of real worlds to choose from – real planets on which to set their stories. On the other hand, we seem to get a kick out of discovering worlds we’ve already imagined (many of the press reports for our habitable worlds paper suggested that an Avatar-like moon might exist, for example). This theme is taken up by Oxford’s Ruth Angus in a public talk she gave a few weeks ago – the video’s worth a watch.